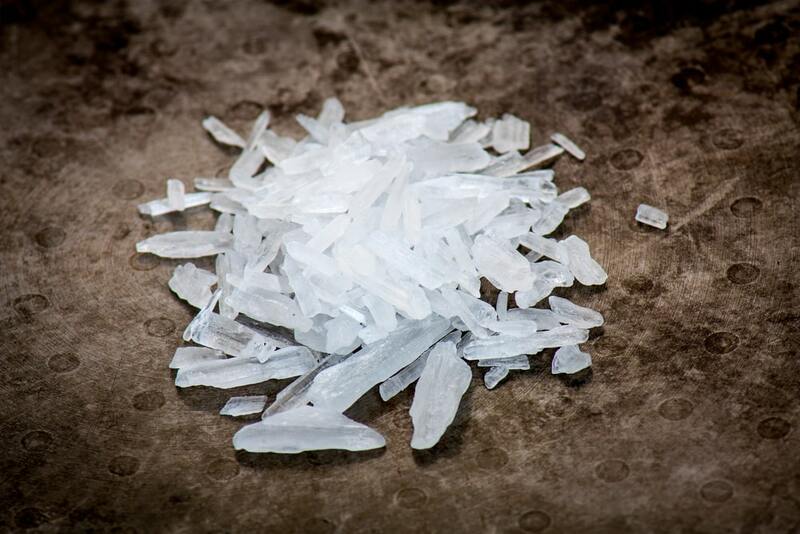 Background: To better characterize mortality among methamphetamine users, we estimated rates of all-cause mortality by HIV serostatus and smoking history in gay and bisexual men (GBM) treated for methamphetamine dependence, and explored associated clinical and socio-behavioral characteristics. Methods: We searched public records to identify deaths among men screened between 1998–2000 for a trial of outpatient therapy for GBM with methamphetamine dependence. Crude mortality rates (CMRs) were calculated, and standardized mortality ratios (SMRs) estimated, comparing data with historical information from CDC WONDER. Associations of mortality with HIV infection, tobacco use, and other factors were explored using Kaplan-Meier survival analysis and Cox proportional hazards models. Results: Of 191 methamphetamine-dependent GBM (median age 35 years; majority Caucasian), 62.8% had HIV infection, and 31.4% smoked tobacco at baseline. During the 20-year follow-up period, 12.6% died. Relative to controls, methamphetamine-dependent GBM had a three-fold higher 20-year SMR: 3.39, 95% CI: 2.69-4.09. Especially high mortality was observed among participants reporting tobacco use (adjusted HR 3.48, 95% CI: 1.54–7.89), club drug use prior to starting methamphetamine (2.63, 1.15–6.00), or other clinical diagnoses at baseline (3.89, 1.15–13.22). At 20 years, the CMR for HIV infected participants (7.7 per 1000 PY) was 1.5 times that for men without HIV (5.2 per 1000 PY; p=0.22) and there was a 5-fold difference in CMRs for HIV infected tobacco smokers (16.9 per 1000 PY) compared to non-smokers (3.4 per 1000 PY; p < 0.01). were associated with dramatic increases in mortality.